Ladies and gentlemen, please allow me to introduce you to Roselyn Kennedy, a regular badass. Here’s how I came to learn about Roselyn. Last week, I was tagged in an Instagram post – I think it was her husband Frank who tagged me. Anyway, the video showcased Roselyn hip thrusting 500 lbs for 2 reps. 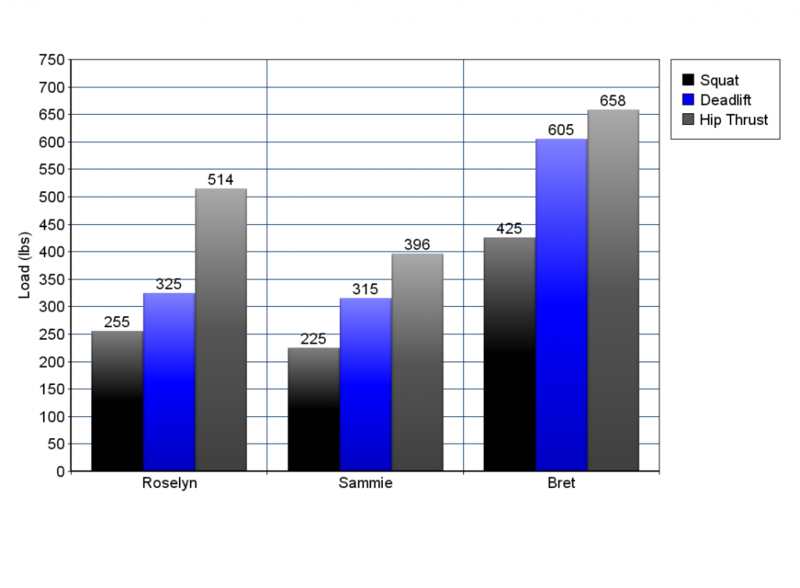 Since Roselyn has some of the strongest glutes I’ve ever seen, I was curious to find out exactly how she trains. I decided to email her to inquire about her training, and we ended up exchanging several emails with one another. Roselyn and her husband Frank Kennedy own United Cross Training, a gym based in Sugar Land, Texas. She recently lost 23 lbs over a 9 month period, check out the results! 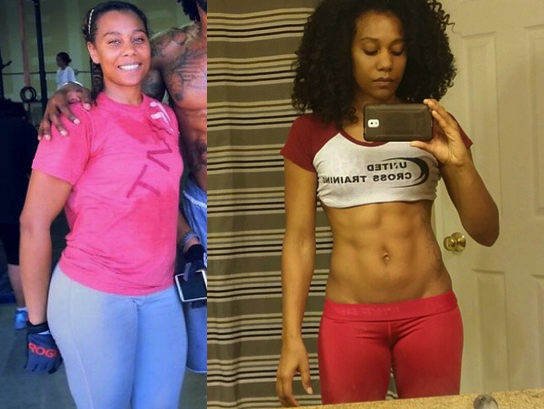 Roselyn’s 9 month physique transformation. 163 lbs on the left, 140 lbs on the right at a height of 5’6″. Look at those abs!!! Roselyn is not happy with the technique in her squat video, apparently she was trying out a closer stance when she hit that weight because she was dealing with a injury (her fibula popped out of placed). She usually has a wider stance on her squats, but It was a PR with a different stance. Not to take the spotlight off of Roselyn – she’s the rockstar here. But one thing that I find interesting is that she fits a particular profile I’ve noticed – the decent squatter/good deadlifter/great hip thruster with a high-hipped roundback maximal deadlifting style profile. Roselyn, Sammie, and myself all fit this profile. Each of us are much stronger at the deadlift compared to the squat. Each of us pull with high hips and rounded backs when maxing out. And each of us can hip thrust a ton. I think that our glute strength is far superior to our quad strength, and this leads to less impressive squats, roundback maximal pulls, and serious hip thrust power. I hope to one day get to conduct research on this hypothesis using isokinetic dynamometry, but below is a chart showing our strength (I had to use an online calculator to estimate some of the 1RMs). 6 Reps / 4 Sets @ 145lbs. The accessory work varies depending on goals and weaknesses at that time. Keep it up Roselyn and Frank! The post An Excellent Body Transformation Powered by Serious Glute Strength appeared first on Bret Contreras.